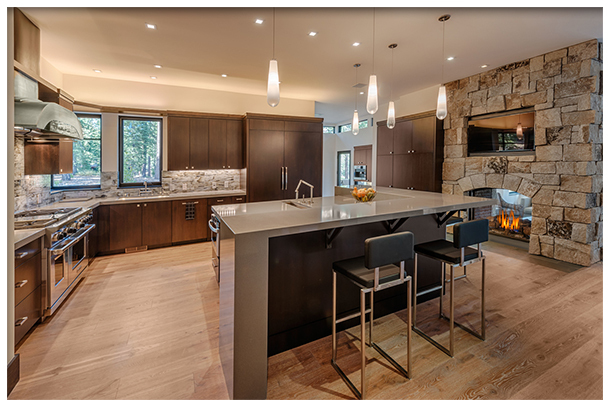 Featured project of modern mountain home using custom flooring | Nor-Cal Floor Design, Inc.
Matt worked with Julie Johnson-Holland on this modern mountain retreat in Martis Camp. The flooring of choice was Thermo Oak with a custom natural oil finish, widths 7” and all lengths at 6’6”. The Thermo Oak is a heat treated wood flooring product, of which the color is achieved without staining. 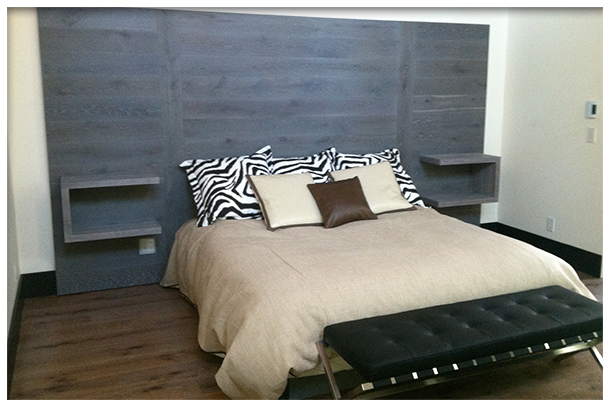 Matt also made a headboard with nightstands out of flooring material to achieve Julie’s furniture design. The home is currently on the market. Click here to view the listing.